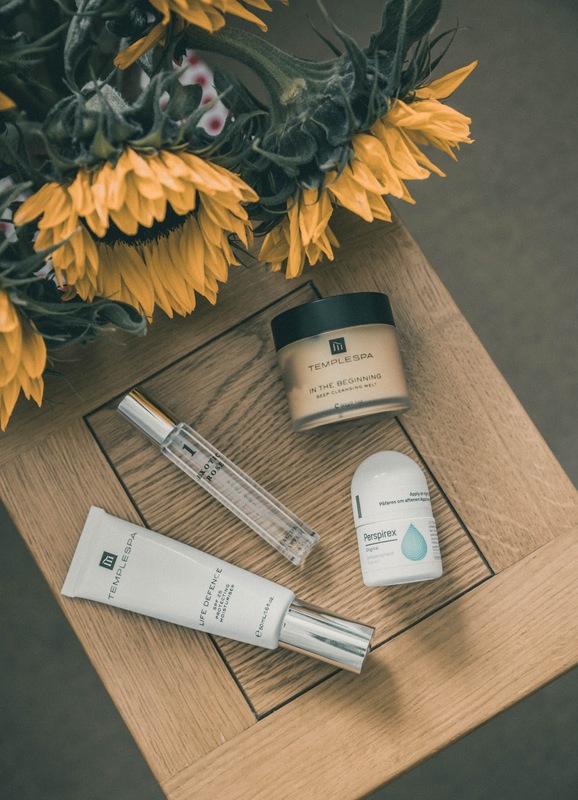 As someone who is known for sticking to the same products time and time again and not one to branch to far out of my comfort zone, I thought it was about time that I upgraded my beauty routine with the help of a few new products. As someone who opts for the 'double cleansing' technique when removing my make-up, I was particularly intrigued by Temple Spa's "Deep Cleansing Melt". Claiming to be one of those 'desert island products' that you can't live without that is enriched with ingredients such as vitamin e, calendula and lavender. This product definitely covers all areas for an intensive cleanse. The product itself is applied my taking a 'pea' size amount, warming it into your palms and massaging it all over your skin. I then take a hot (damp) muslin cloth, to remove before then using a separate face wash. I love how soft it makes my skin feel, it also doubles up as a facial treatment if left on for 30 minutes. When it comes with using a SPF I'm never normally one to skimp on it, rain or shine it's important to protect your skin against sun damage. 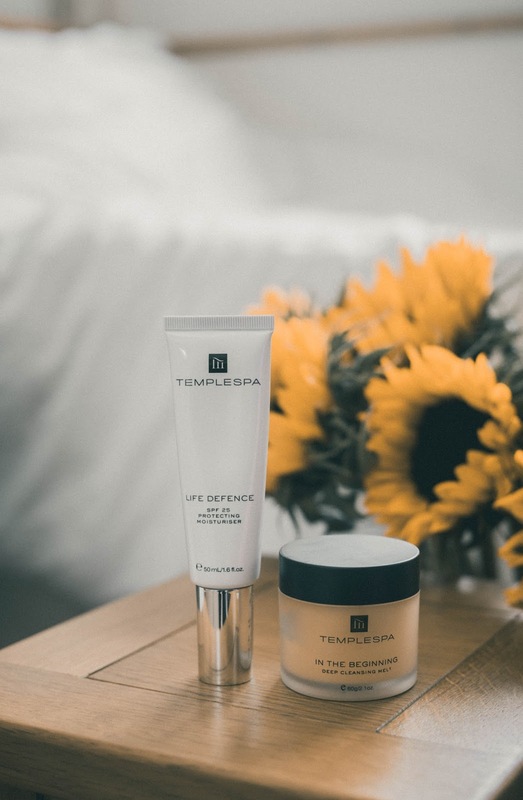 I'll admit I've used a few SPF 'face' products over the past couple of years, but the Life Defence SPF25 Protecting Moisturiser (also) by Temple Spa is fast become a new favourite of mine. In addition to how this moisturiser can help to protect your skin from UVA & UVB damage and other things like pollution, central heating, air con and daily stress. It doesn't have that typical sun cream scent, which to be honest I'm not highly offended by, but on a winters morning don't want to particularly smell of. 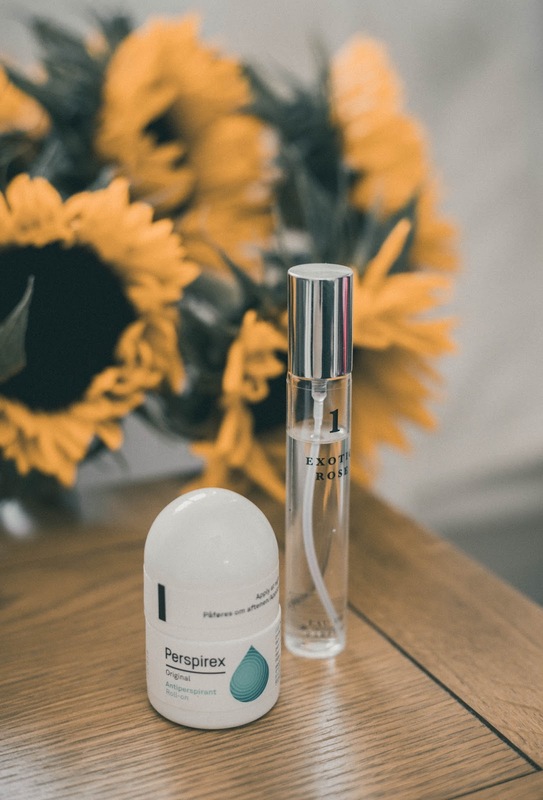 Another new handbag friendly product is the Perspirex Original Antiperspirant Roll-on deodorant. Now don't be fooled by the size of this product because this deodorant lasts 3-5 days, meaning if you forget to pop some on in the morning. Don't worry this lil' nifty product has you covered. I also love how you can layer it with your normal deodorant / body spray if you want a scent (as its practically scent-less). This is definitely a must for gym-goers and all-round busy people. Speaking along the lines of scent I recently picked up this handbag friendly bottle of "1 Exotic Rose" which you can purchase from your local New Look store, or online. The concept of these range of scents is for you to layer them to create your own-unique fragrance. However this particular scent on its own smells amazing and is an all round handbag friendly 'throw on and go' sort of product.